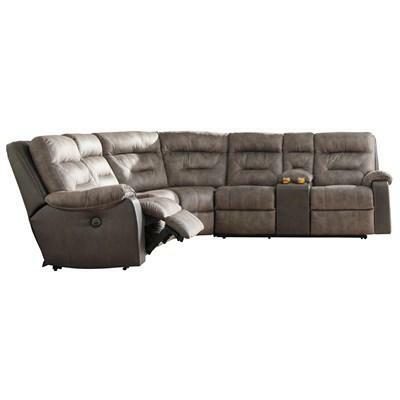 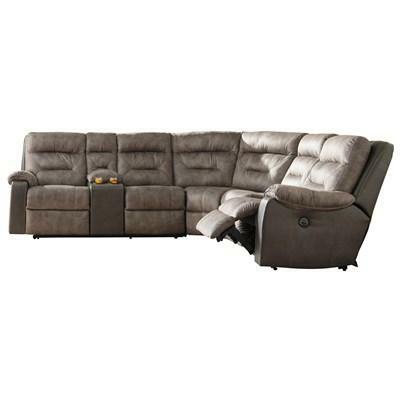 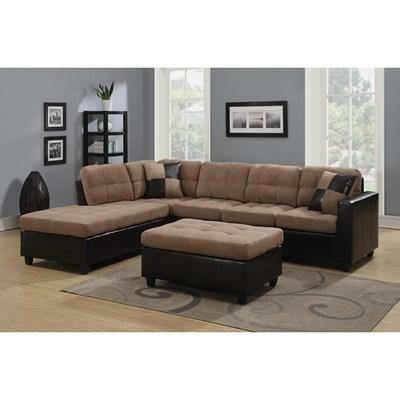 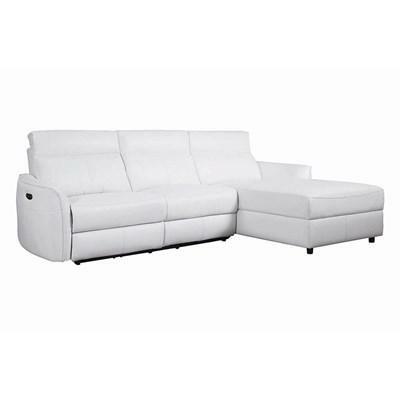 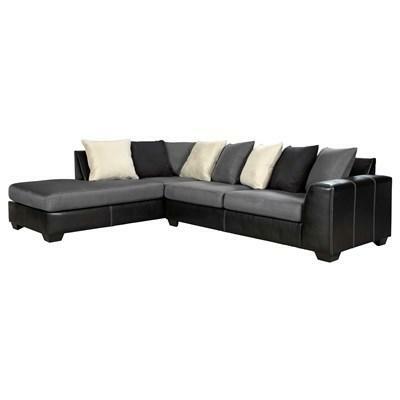 Experience the pleasure of beautifully done faux leather with the Jacurso sectional. 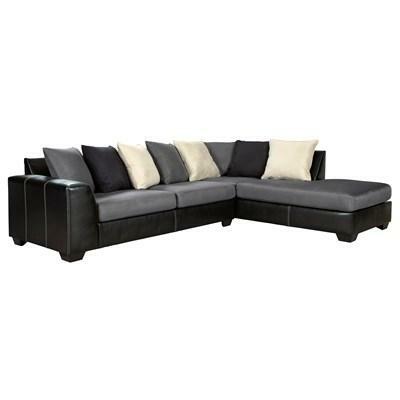 Fabric cushions and designer stitching add a rich element. 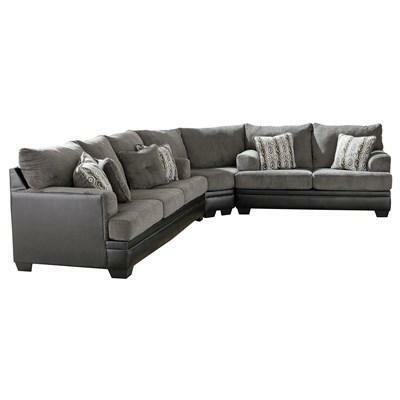 Comfort is inevitable with the Millingar sectional. 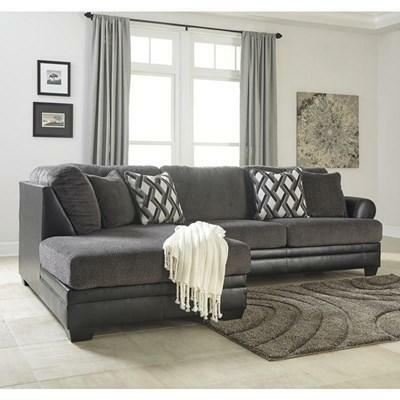 Handsome profile is teeming with chenille softness. 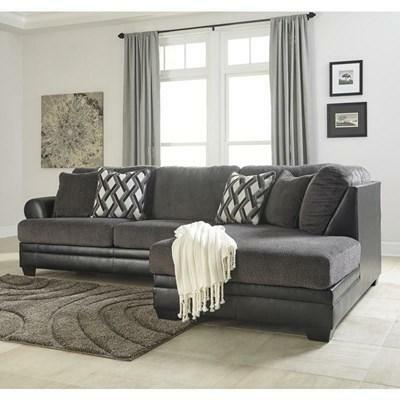 Smokey gray textured cushions meet black faux leather for a quality look.